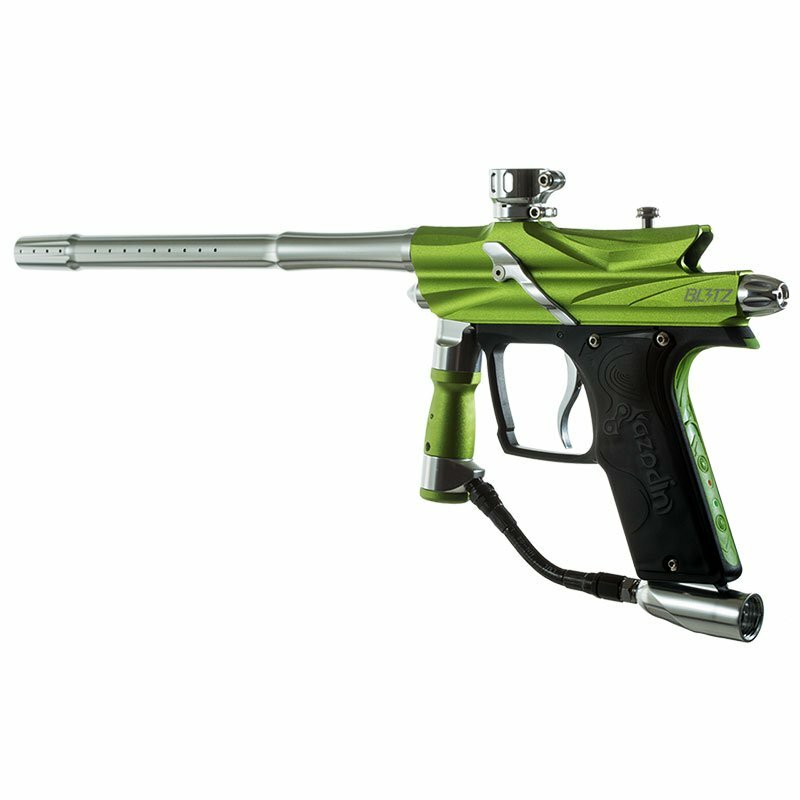 The Blitz 3 is the lightest paintball gun released from Azodin to date. 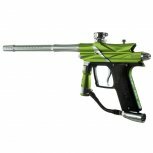 With a new compact regulator and screw-lock feedneck that meshes with its aggressive milling. The Blitz 3 is a union of form and function that is better in every measure. An all new streamlined design removes angled fittings and hoses resulting in a more comfortable grip on the field. Designed to take punishment all day long through the harshest weather conditions. The new regulator design and stainless steel hose offers a consistent supply of clean air to your marker. With a durable Nylon reinforced composite frame ensures that your marker is lighter than ever without sacrificing strength during hard falls. The Blitz 3 is 15% lighter than the previous Blitz at only 2.05lbs. This light weight design was achieved by utilizing composite materials throughout the trigger frame and aggressive milling in the body. The all new Feather Regulator utilizes a compact, lightweight, and easy to service design. With a revolutionary piston and integrated seat the Feather Regulator operates with CO2 and HPA. Designed with close attention to user experience the Blitz 3 is easier to set up with a pre-set Feather Regulator and screw-lock feedneck. Comfort is set aside with a light weight and full rubber membrane pad.